Medical malpractice is by far the most common form of malpractice litigation and this is reflected in mandates for physicians to purchase malpractice insurance, which will be used to pay clients that are negatively impacted by a botched medical procedure. The statute of limitations to file suit in New Jersey civil court over a botched medical procedure is 2 years after the procedure was completed or whenever the harm is discovered. This is called the “discovery rule” and it benefits the client when the harm is not readily identifiable. Nurses and other medical support staff can also be found liable if they carry out a doctor’s orders ignoring knowledge they may have of the potential harm it can cause to the patient. You must be able to identify specific cases or patterns of neglect or misconduct on the part of the doctor or medical staff. You must be able to prove that the negligence caused you injury and that the injury is directly related to the treatment and not an ancillary result of the medical condition that required the individual to undergo medical treatment in the first place. The New Jersey State Bar Association is a good place to start your search for a medical malpractice lawyer. The New Jersey State Bar Association maintains a lawyer referral service for the public, as well as recognizing lawyers that work for the public interest through pro bono awards. The lawyer will be prescreened before being allowed to participate in the lawyer referral service. You may use this website to find a malpractice attorney. To do so, use the search box on top of all pages. You may also compare attorneys and ask free questions by clicking Find Attorneys on top of the page. 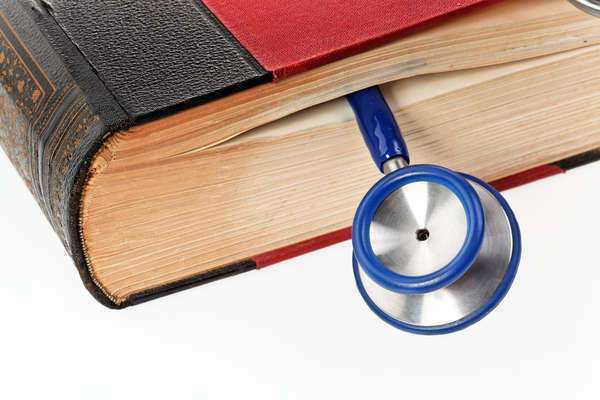 What are limitations in New Jersey medical malpractice law? In addition to the statute of limitations, New Jersey also caps punitive damages in medical malpractice cases. Punitive damages are another class of damages aside from the typical compensatory and non-economic damages. Punitive damages are damages awarded for the role purpose of punishing the doctor for recklessness. The amount of these damages is capped at five times the compensatory damages or at $350,000 depending on which number is greater. Medical malpractice litigation can be complicated at times and involves a host of different laws governing patient care and medical responsibility. These laws are also subject to change with tort reform laws and adjustable damage caps. Not only will you need a specialist lawyer with knowledge of these laws and background in medical care but you will also need a medical malpractice lawyer in New Jersey that will be up to date on specific laws defining the statute of limitations and damage caps. You must gather all evidence of your injury as you must be able to prove in court that your injuries were sustained as a result of negligence and not the condition that required you to seek medical attention. If you were prescribed the wrong medication, the prescription and the drugs given to you may be useful to help your lawyer determine if the prescription and use of the drug was irresponsible on the part of the physician. You must bring any all agreements between you and the doctor with you so as to determine the doctor’s culpability. Err on the side of caution and disclose everything that you feel may be relevant. Be truthful at all times as lying or misinformation may cause your case to be thrown out in the future. You must be prepared to ask questions and make a personal judgment on if the New Jersey malpractice lawyer will meet your needs adequately and will give proper merit to your case. You should have ease of communication with your lawyer and will be able to contact them if you feel there is a problem with the case. Some lawyers will provide direct numbers but others will charge for incoming phone calls and other communication, which can be expensive and prevent you from contacting your lawyer whenever you have concerns. This is not an ideal situation and you should look for New Jersey medical malpractice lawyer that will be easier to communicate with. If you ever feel coerced or threatened by a lawyer or feel that the fee arrangement is exploitive, you should contact the NJSBA immediately and they will take remedial actions such as scheduling a hearing. Lawyers may be suspended or disbarred for the worst offenses against clients. There are various fees that are accrued when consulting and retaining a lawyer. It is important to be aware of these fees. A retainer may be necessary as all litigation cases that proceed to court will be a lengthy process involving jury selection, court dates and a number of other legal procedures. You should be able to get all fees in writing from a reputable attorney. The court will decide limitations on the contingency fees for claims above $2 million. These lawyers will claim not to charge you unless they win your case, but be aware of other hidden fees for services rendered that lead up to the trial or settlement. A retainer fee is a non-refundable advance payment by the client that covers the cost of services provided by the lawyer. If you cannot afford to keep a lawyer on retainer, the lawyer may work by hour or on contingency. Lawyers working on an hourly basis will become very expensive if the litigation is not settled outside of court. Some attorneys will charge fees for the use of support staff, such as paralegals that conduct research and compose legal documents. You should be made aware of the charges associated with these services. If you work on contingency, what percentage of the award will you collect? Are you experienced with medical malpractice law? If you are not, who do you have on staff that is experienced with medical malpractice? Will I be charged extra for the use of the expert’s services? If not, who will I be speaking to?